Another interest that’s starting to grow. Things like the lillypad and similar. Arduino stuff too to a degree. It seems such a shame that the Pebble isn’t really going to be an ongoing platform any longer. I don’t really have any use for this any more sadly. I backed this app on Kickstarter and had a lot of trouble with the beta, but the latest version seems good and the display on the Pebble is pretty good. Now all I need to get it to do is work with Spotify. I haven’t really tried as yet, and I’m hoping it won’t be too difficult. Pebble’s latest iOS app (and I guess Android as well), removes the Pebble watch reliance on Pebble’s servers and means that the device can last a lot longer than the end of 2017, or at least that’s how it seems. I’m still hopeful that someone else will bring out a real alternative firmware for Pebble soon. I’m hoping that Rebble will do something, but there’s been no update on their site since the end of January. There will certainly be enough Pebble users to make it worth their while, or at least I would imagine so. I’d happily pay for something new from them. Rebble comes along, a glimmer of hope for Pebble owners? I’d been wondering when this might happen. I thought it was very likely that a group might come together to launch something for the Pebble community before they’re forsaken by Pebble, or rather Fitbit in a year. It’s early days, but I hope that they do make something worthwhile. For ages I’ve been trying to find better ways to make use of my Pebble Time. I’ve tried music related apps. There weren’t many. You can see above the ‘chordinator’, but there was also a metronome, and even a synth controller that I could never make work sadly. I did stumble over some other briefly useful apps, like a headline app for BBC news, and a public transport app that was brilliant, although it seems to have given up now. They were good, but never amazing. So now it seems that at some point in the not too distant future the Pebble will stop working completely. Which is really disappointing. Apparently Fitbit intend to keep things going for a year. That’s nice, but what’s going to be more interesting is what alternatives might spring up for Pebble users. Things like alternative operating systems. I’ve been doing some research on this. There were a couple that looked interesting. This is quite an interesting OS but doesn’t support Pebble, at least not at the moment anyway. It looks good, but as Pebble isn’t even listed I’m not too hopeful. This was another possible, but has now been bought up by Google so it looks like it’ll become a part of Android Wear. So it’s a dead end. This is actually an iOS app that lets you create and install custom firmware. Which might be useful in time. Aside from that it doesn’t look particularly good. I’m hoping that users will develop a community based solution to this. That’s the best outcome. The worst outcome is that Pebbles will be bricked and become obsolete. I really hope that doesn’t happen. I’d like to think that my Pebble has some life left in it. This is especially important for two or three reasons. I’d started looking into building my own Pebble app as I couldn’t find any that really did what I wanted. 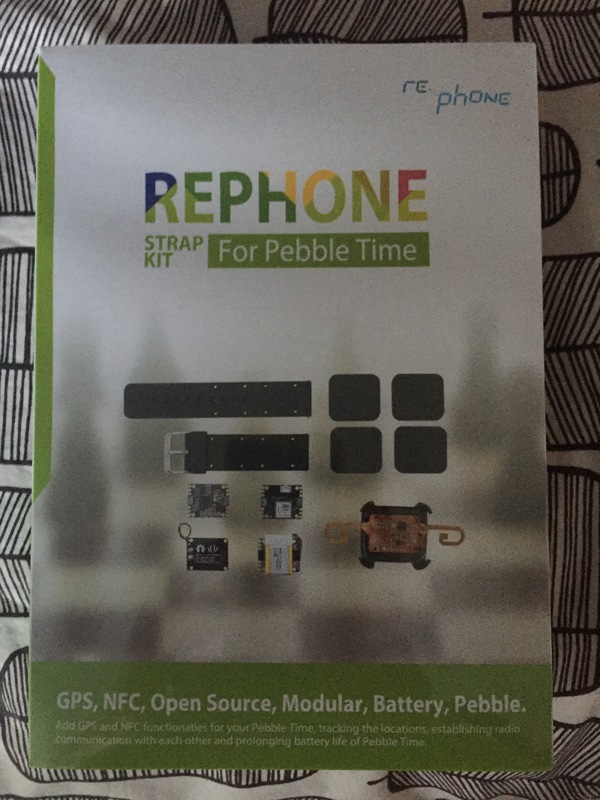 I’ve got a Pebble re-phone kit that I literally got out the day before Pebble got bought. So it would be nice if the Pebble itself lasted a bit longer. Time will tell what happens next. As for my own next steps, I still plan to tinker around with this stuff, and as I do I’ll post any results worth sharing. They announced new devices this morning. Interesting I guess, but I can’t see myself getting in on this Kickstarter. I’ll probably take a look of course, I don’t think I could avoid that, but I don’t think I’m in the market for another smartwatch. Having said that, I hope that it goes really well for them. I’d like to see them do well against all the competition.